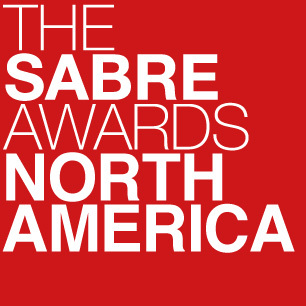 Trophies for the top ranked agencies in each category were presented at the 2018 Asia-Pacific SABRE Awards in Singapore on 11 September. Always highly-rated for its progressive workplace culture, Text100 takes top spot among networks in 2018, thanks to a well-rounded offering that scores particularly high across Management, Culture and Empowerment. And the agency Next 15 agency accomplished this despite overhauling its internal people structure in 2017, flattening hierarchies and helping staff better build their careers. Singapore consultancy AKA takes top spot for the first time in its history. AKA's workplace offering drew strong employee affirmation across all categories, in particular Management, Culture, Professional Development, Client Service, Empowerment and Communication. All of which is testimony to the 31-strong agency's focus on a model that does not deploy siloes, instead challenging staffers to work in cross-matrix teams that aim to broaden experience, grow capability and encourage well-rounded, future thinking communications professionals. Perennial winner Sling & Stone again takes top spot, marking its third consecutive triumph as a Best Agency to Work For. Remarkably, the Australian firm has been able to safeguard its culture from the vicissitudes of rapid growth, suggesting that its workplace is functioning as a competitive advantage versus rivals. Employees scored the firm highly across all categories, including Management, Culture, Professional Development, Client Service, Empowerment and Communication, reflecting a workplace that features state-of-the-art technology, collaborative and open workspaces, weekly cultural activities and health and wellness benefits.